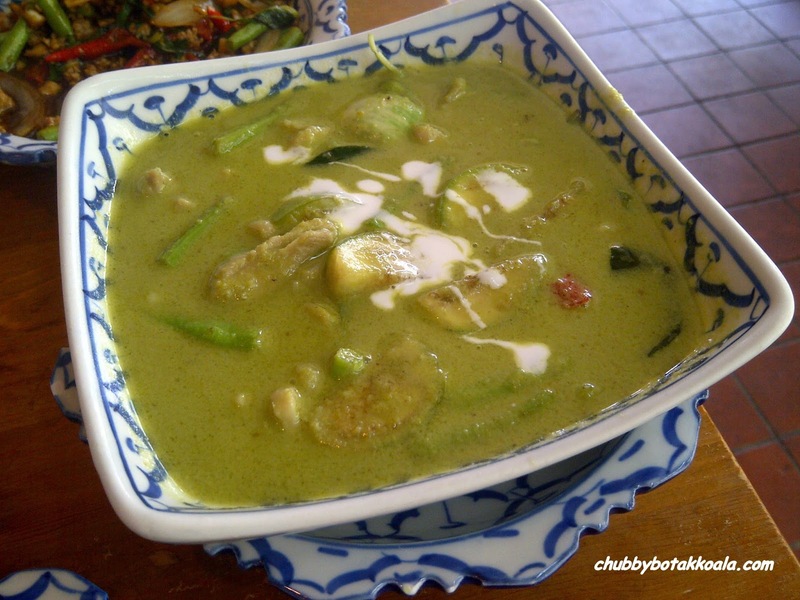 Nakhon Kitchen is simple non air-conditioned café that serve simple authentic Thai food. 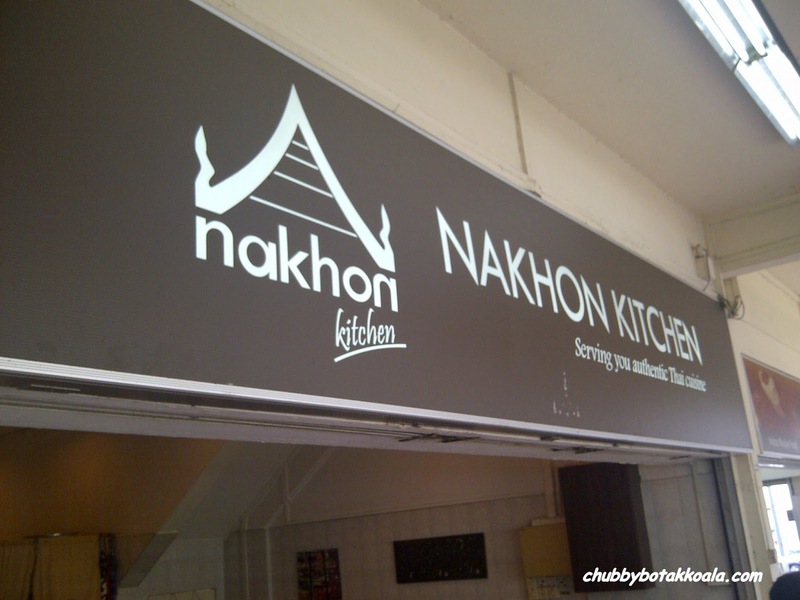 Nakhon Kitchen has built up their reputation when they opened in Bedok. The second branch are opened in the North-east area. Located in the inner part of Kovan, at the junction of Hougang St 21 and Hougang Ave 1, this small eatery has build up quite a big followers. On the weekends, expect a long queue of customers waiting for their turns to have a fix of traditional Thai food. For Little Devil ('LD') and I, it is more like a game of cat and mouse game. If we passed by Nakhon and don't see any people queuing, we will quickly turn to the car park and grab a quick bite there. However if we see a long queue, then we just keep going. All along, we find all the food here is delicious and authentic. The reason is simple, they bring the same basic ingredients, sauces and condiments direct from Thailand. Majority of their cooks and service staff are also Thai, therefore you can not only taste but also feel their authenticity. Our favourite dishes here are: Pad Thai ($5), Green Curry Chicken ($8), Stir-fried mince pork w/hot basil leaves ($6) and Pandan Leaves Chicken ($6). 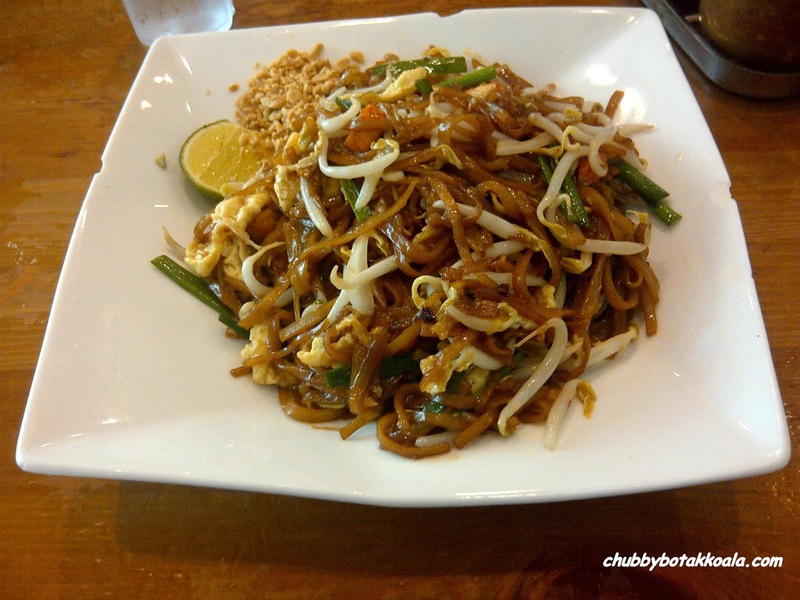 Nakhon Kitchen Pad Thai has a nice balance of sweet and sour. The rice noodle has a springy texture and combine all the ingredients and texture such as bean spout, chives, eggs and crushed peanuts beautifully. Every time I have green curry chicken here, I will more likely end up with extra serving of rice. It has subtle spiciness, fragrant green curry, and richness of the coconut milk are just too inviting. Although the carnivores will feel that the meat in the curry is lacking, I will add the meat from Pandan Leaves Chicken to satisfy my cravings as a carnivore. The Pandan Leaves Chicken is well marinated and fried to perfection with the wrapped pandan leaves. 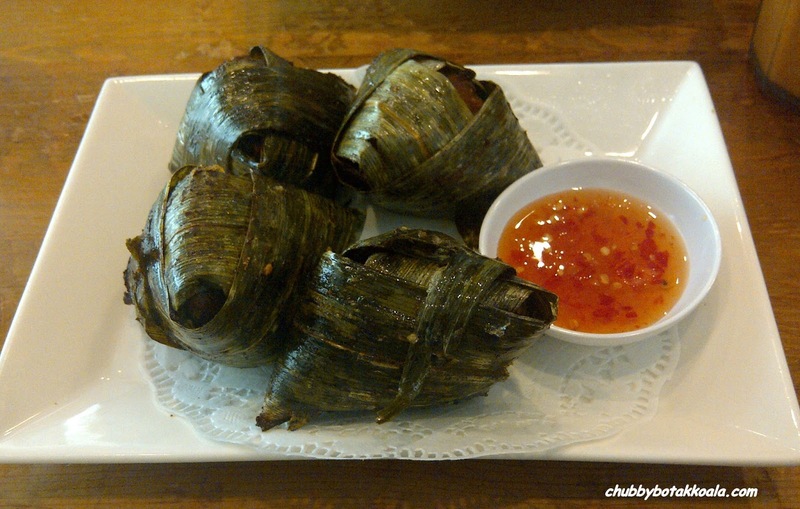 The chicken remain juicy and succulent, with a lovely pandan flavour. 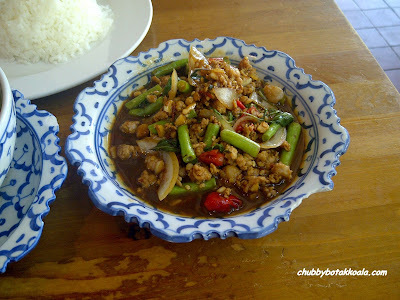 The Stir-fried mince pork is very spicy combined with fragrant basil leaves, this dish really open up your appetite. The saltiness of the dish is just right with a little tingling of sweetness, entice you to keep scooping for more even though the chilli is numbing your tongue. The Thai Ice Milk Tea here is the same as the one you get in Thailand. 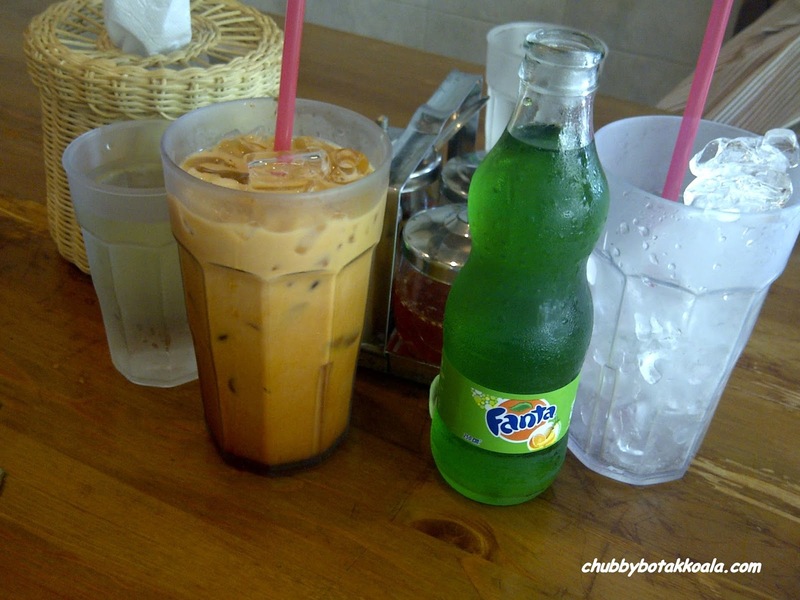 The upside of it, it has less ice than what you normally get in Thailand. The downside, it is almost triple the price you pay in Thailand. 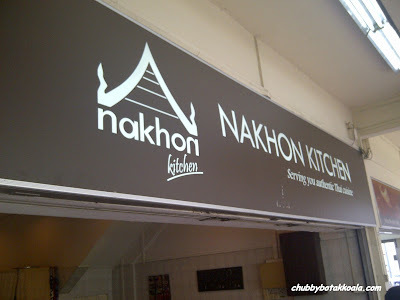 Overall, for those who never been to Nakhon Kitchen, consider this as a hidden find. One of the cheapest and most authentic Thai food you can find in Singapore. Cheers!!! Block 136 Bedok North Ave 3.